The Trump administration plans to open up 90 percent of our ocean waters to drilling by private companies. This is the largest single expansion of offshore drilling ever proposed. We’re still living with the damage from the 1969 Santa Barbara oil spill, 1989 Exxon Valdez disaster, and the 2010 Deepwater Horizon explosion. Obama excluded much of the Arctic and parts of the Atlantic oceans from new offshore drilling after extensive public comment----1.4 million comments opposed new drilling. Opposition came from House and Senate members, coastal communities, businesses, and more. Call/Write your elected officials. Tell them to condemn this off-shore drilling expansion. 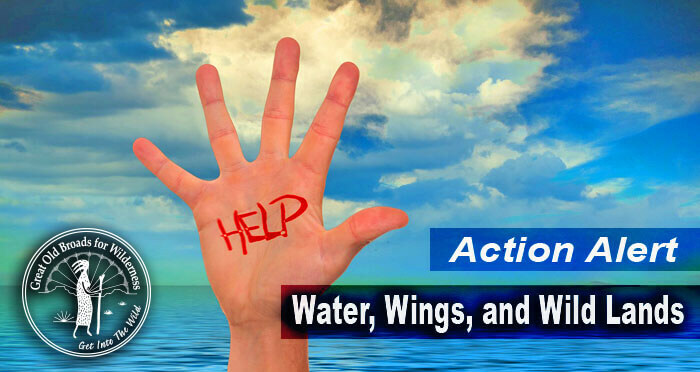 Send your comments to the Bureau of Ocean Energy Management (BOEM) to oppose the plan. If you live on the ocean, be specific about YOUR coastal waters and their contribution to local economy, ecosystems, and quality of life. Protect the President’s ability to preserve landscapes for values established in the Antiquities Act of 1906. Defend the 51 National Monuments established since 1996, including Bears Ears and Grand Staircase Escalante National Monuments. Let’s Build Momentum with Action! The Department of Interior (DOI) is at it again...with the introduction of a legal opinion that seeks to legalize the unintentional killing of migratory birds. “Unintentional” sounds benign, but this would end common-sense practices used by industry to avoid killing birds. For example, hundreds of thousands of birds die from exposure to the oil industry's toxic wastewater pits. Mitigation methods, such as covering the toxic muck would no longer be required. Adding insult to injury, Liz Cheney (R-WY) introduced a bird-killing amendment to the egregious HR 4239 - SECURE American Energy Act that would provide a free pass, no longer holding industries accountable for “accidental” bird deaths. Audubon says, "if this bill had been the law in 2010, BP would not have been held liable for killing more than one million birds during the Gulf oil spill." Contact your members of Congress and the Department of the Interior TODAY and urge them to uphold the Migratory Bird Treaty Act (MBTA).